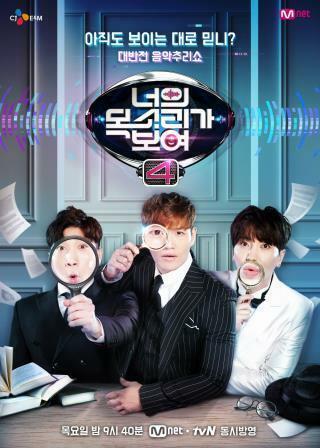 SEOUL, July 8 (Yonhap) — Mnet, CJ E&M’s music television network, will air the fifth season of popular program “I Can See Your Voice” next year. “We thank viewers for their interest and support towards the fourth season of the show. To meet viewers’ anticipation, we plan to present an upgraded fifth season in 2018,” the company said on Friday. Mnet said it is receiving applications from potential contestants wishing to be part of the next season. First aired in 2015, “I Can See Your Voice” is a music-celebrity quiz show in which professional artists try to evaluate whether regular contestants are awful or good singers by looking only at their appearance. CJ E&M is currently in talks of exporting the format to four new countries. The company has already sold the copyright to networks in eight countries, including China, Malaysia, Bulgaria and Thailand. The Thai version has recently been renewed for a second season, while the second season of the Indonesian broadcast has been extended to 26 episodes over strong demand.